SEGA manager Tim Kalke discusses his website business proposal with web design student Dominic Moon. 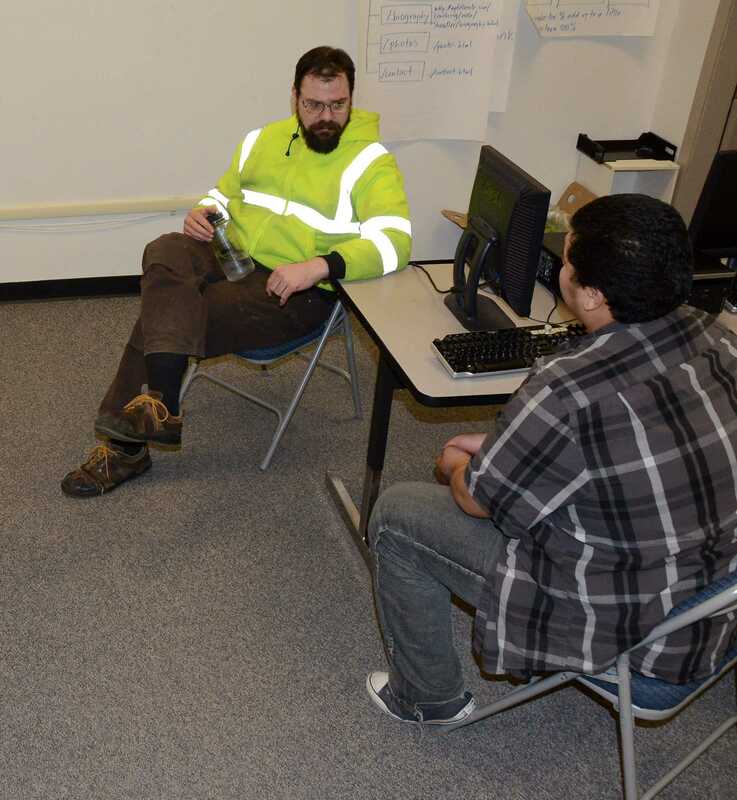 Tim Kalke has asked the school’s Internet Web Authoring class to construct a website for SEGA, the group managing the new biofuel heating plant for the GILA campus. He wants a website to keep people updated on what is going on with SEGA. Full disclosure: I’m a student in the Internet Web Authoring class. Tim Kalke walked into my 3A class on Feb. 1 requesting that we make a webpage. It will provide basic information about what SEGA does and how it operates. 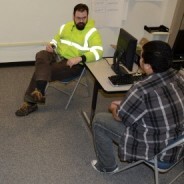 Mr. Kalke, who teaches leadership and natural resources management at the school, is the SEGA manager. SEGA cuts down trees near GILA and uses the wood for fuel to run the boilers producing electricity for the campus. Mr. Kalke said he wants to have a private-public partnership with the students. He wants the website to be “between the lines of military and Homer Simpson’’ in terms of organization. The domain name of the website is sustainablegalena.org. The page will also have examples of other similar projects that will want a website. Mr. Kalke told us that he wants to take us out to see the SEGA harvesting operation, take photos, and shoot videos. The website will be updated by Mr. Kalke after we all leave this class. He also asked that we teach him how to do it first. The deadline for completing the website will be on April 1, 2016. Then he will take it on from there. Published at the Hawk Highlights, Galena on February 3, 2016.